Danny Meyer’s Union Square Hospitality Group and the private-equity firm KarpReilly have made an investment in the nine-unit Salt & Straw ice cream chain, executives said Tuesday. Terms were not disclosed, but Portland, Ore.-based co-founders Kim Malek and cousin Tyler Malek will retain majority control of Salt & Straw. The deal marks the latest in a series of investments by New York-based USHG, which earlier this year invested in Joe Coffee, a specialty brand, with plans to grow on the East Coast. In 2015, USHG made a significant minority investment in the Los Angeles-based Tender Greens chain. KarpReilly has long invested in young, emerging brands, including Burger Lounge, Eureka!, Patxi’s Pizza, Superba and Sprinkles Cupcakes. “While we fell in love with Salt & Straw’s craveable ice cream the moment we polished off our very first pint, what really blew us away was witnessing the joy Kim Malek and her team bring to their staff and guests while scooping flavors in their beautiful stores,” said Meyer, CEO of USHG, in a statement. The Maleks said the funding would be used to hire and train staff and build infrastructure for the growing Salt & Straw brand, including a state-of-the-art commercial kitchen in Portland and a production facility in San Francisco. The company is also developing an artisan incubator program to help young businesses get their start, including some of the artisans providing ingredients for Salt & Straw ice cream flavors, like Portland chocolate makers Charlie and Jessica Wheelock, who make the chocolate for the Freckled Woodblock Chocolate ice cream. “We’ll work with two to three artisans every year and sign on as they’re getting their business up and running as one of their customers,” Kim Malek said. The partnership will also include offering advice on best practices, from manufacturing and logistics to human resources, she added. Salt & Straw was named a Nation’s Restaurant News Breakout Brand in 2017. The small-batch, artisanal ice cream maker has three locations in Portland, as well as a new soft-serve concept called Wiz Bang Bar. Salt & Straw has another five locations in Los Angeles. This year, the company plans to open its first unit in Seattle and a second location in San Francisco. 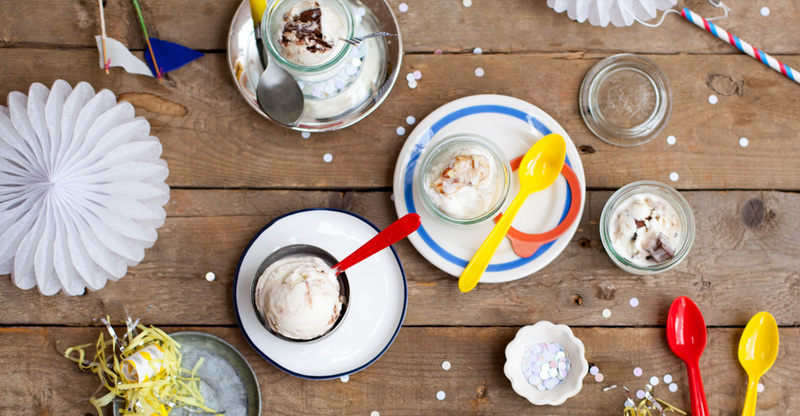 A cult favorite on the West Coast, Salt & Straw is known for its use of local, organic and seasonal ingredients, as well as its unusual flavors, like black olive brittle and goat cheese; green apple and wasabi flowers; or iris liqueur and edible flowers sorbet. 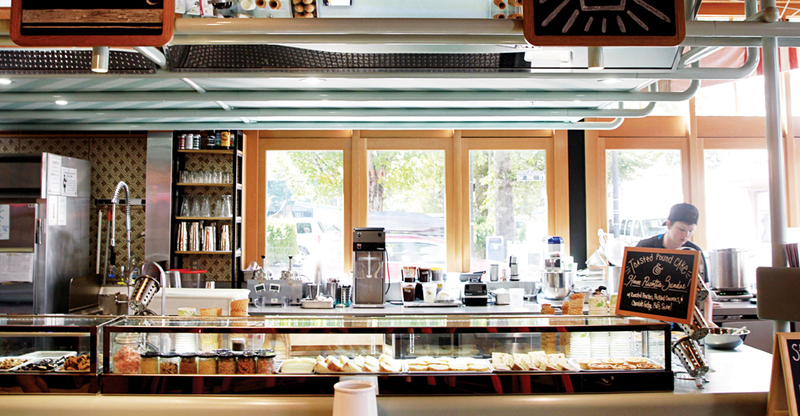 The training led the Maleks to develop their own training, called Salt & Straw University. The company is piloting a community-based hiring program in partnership with local groups like United Way, Gateway to College and local state parole boards to provide training to people looking to re-enter the workforce, as well as hiring some at Salt & Straw. USHG said Salt & Straw ice cream will be served at the group’s new Daily Provisions, next door to Union Square Cafe, which will be the ice cream chain’s first outlet in New York City. Later this summer, the ice cream will also be available at USHG’s Studio Café at the Whitney Museum of American Art in New York City. “We can’t wait to introduce more of our friends to Salt & Straw, and are grateful for the opportunity to do all we can to help this wonderful business continue to flourish,” Meyer said.